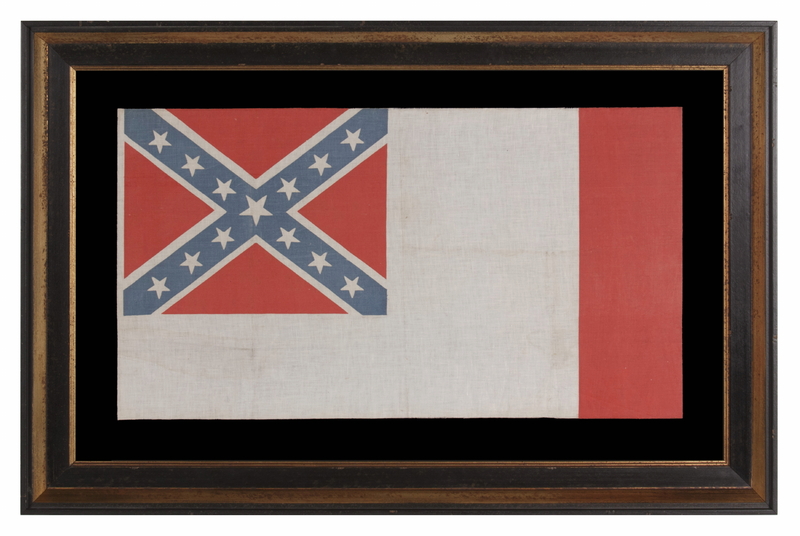 Frame Size (H x L): 31.25" x 47"
Flag Size (H x L): 19.75" x 35.5"
Confederate parade flag in the Third National format, printed on cotton. 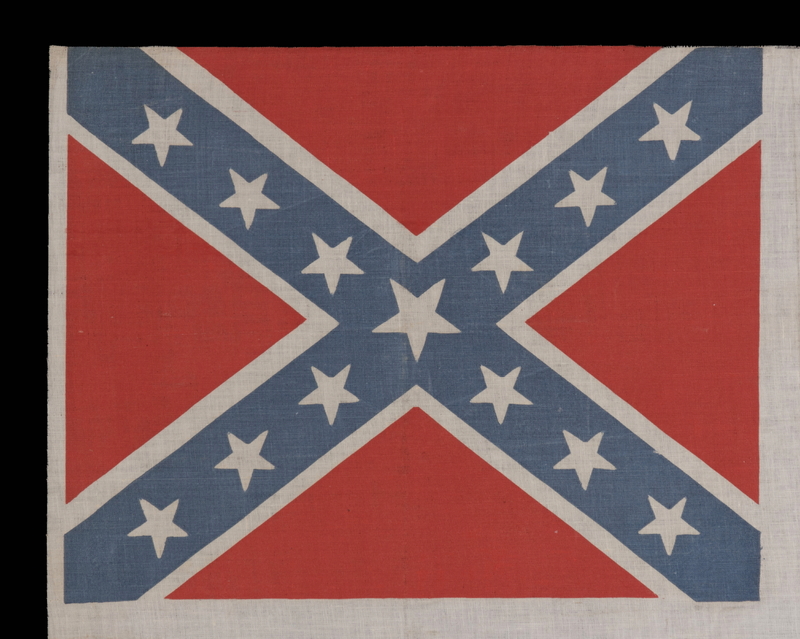 The Confederacy had three successive national designs, of which this was the last. The First National format looked much like the Stars & Stripes. It consisted of 7 white stars arranged in a blue canton, and three linear stripes instead of thirteen (2 red with one white in-between). This is the flag known as the Stars & Bars. Because they were so alike, use of the Stars & Stripes and the Stars & Bars on the same battlefield created great confusion. For this reason, the second Confederate flag was adopted on May 26th, 1863. 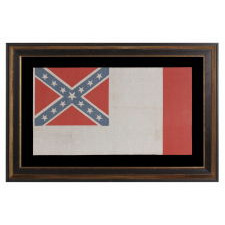 It was white in color, with the Southern Cross (the Confederate battle flag) serving as its canton. 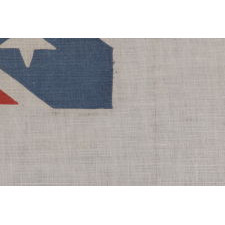 Soldiers and officers alike disliked this design because it looked too much like a surrender flag, and, if given the opportunity, they would dip the end in blood. 36 days before the war’s end a red vertical bar was added at the fly end and the result became the Third National design. 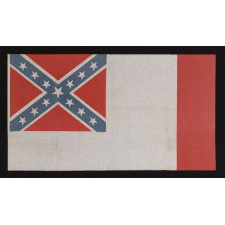 This version was nicknamed the “blood stained banner”, but officially it did not represent blood, but rather paid homage to the French, who lent aid to the South during the war. Note how if you were to replace the first third of the flag with a blue vertical bar, the result would be the French tri-color, the national flag of France. Many people are surprised to learn that the Southern Cross, by itself, was not the national flag of the Confederate States of America. 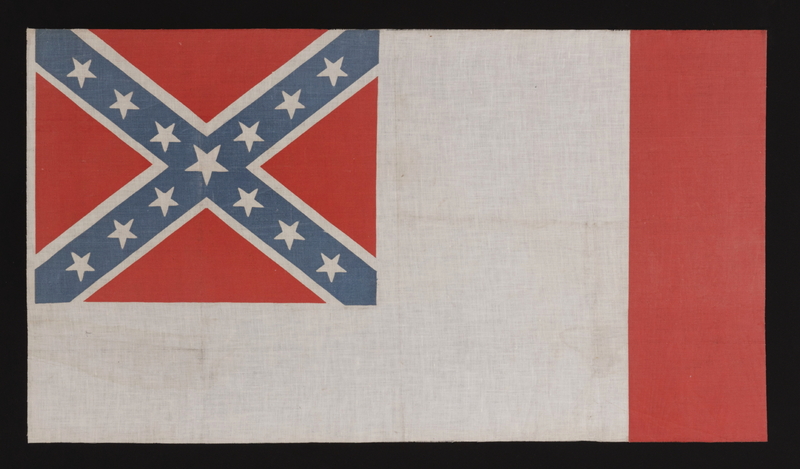 Officially, in rectangular format, it served as the Confederate Navy Jack. 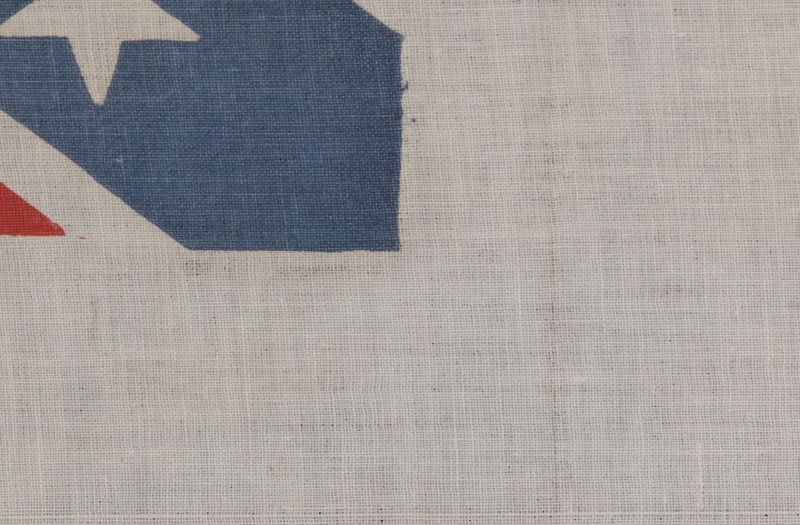 In square format it came to be called “the battle flag”, partly because it was carried in this format, for that purpose, by Robert E. Lee and his Army of Northern Virginia, as well as by Beauregard’s Army and others. 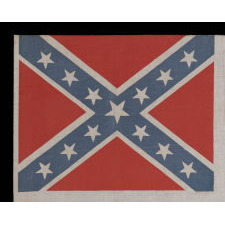 It also received widespread love in the South because the second and third national designs were not particularly admired by Confederate soldiers, the second for reasons previously stated and the third because the design was so short-lived. 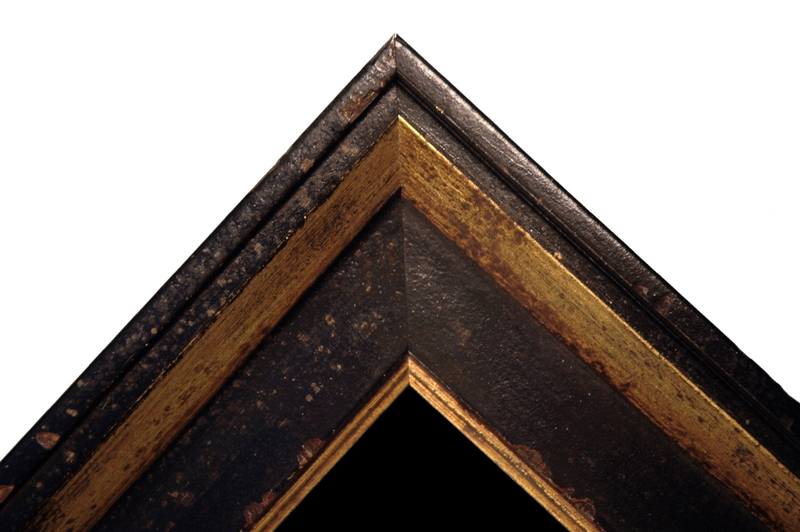 Mounting: The flag was mounted and framed within our own conservation department, which is led by masters degree trained staff. 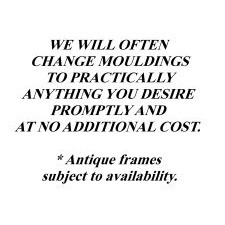 We take great care in the mounting and preservation of flags and have framed thousands of examples; more than anyone worldwide. The background is 100% cotton twill, black in color. 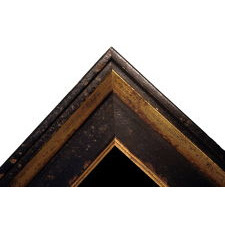 The mount was placed in a black-painted, hand-gilded and distressed Italian molding. The glazing is U.V. 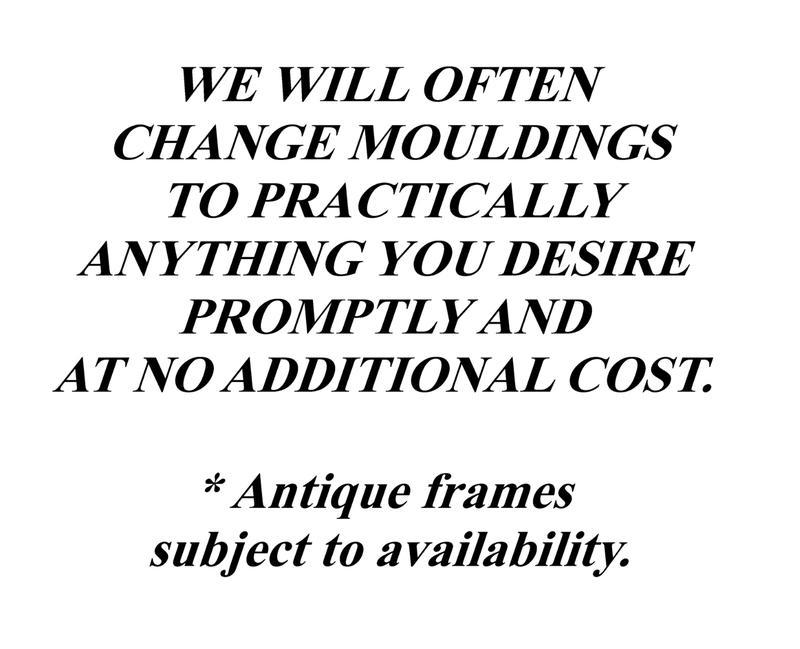 protective plexiglass. Condition: There are no significant condition issues.